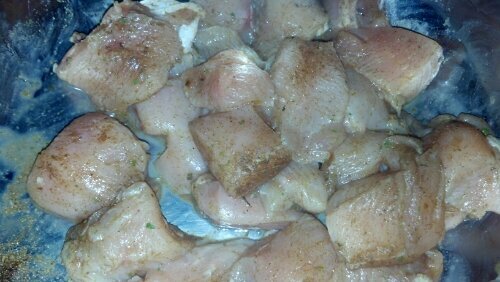 Start by marinating your chicken with the meat rub and a light coating of Suger Free Syrup. I think Chicken is one of the most bland meats! 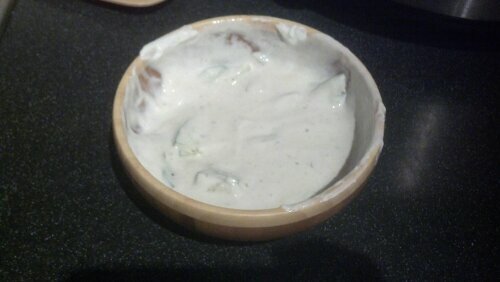 To get myself to like it I marinate it for longer so the flavor gets further into the chicken. If you can think to do it before you leave for work then let it sit wrapped in the fridge it will taste better that night! 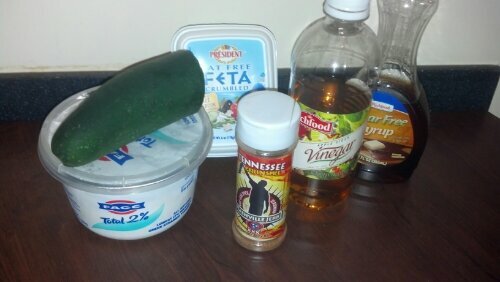 To make my tzatkiki sauce I used 9 ounces of yogurt, a couple dashes of Tennessee Rub, half a cucumber sliced thin a tablespoon of apple cider vinegar and a dollop of sugar free syrup. A light protein packed salad dressing! Greek Yogurt has 23g of Protein per cup and 170 calories! 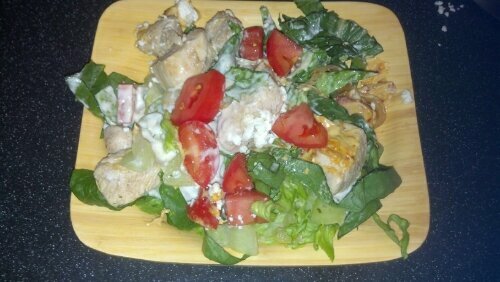 Sautee your chicken and you are good to put it over a bed of romaine! A 330 calorie dinner with 43g of Protein! Remember lean proteins and veggies are the trick to feeling full! I’m glad you enjoy it! Thank you for checking me out!